Kupinski Duo (Ewa Jablczynska & Dariusz Kupinski) playing their arrangement of Zita by Argentinian composer Astor Piazzolla (1921-1992). 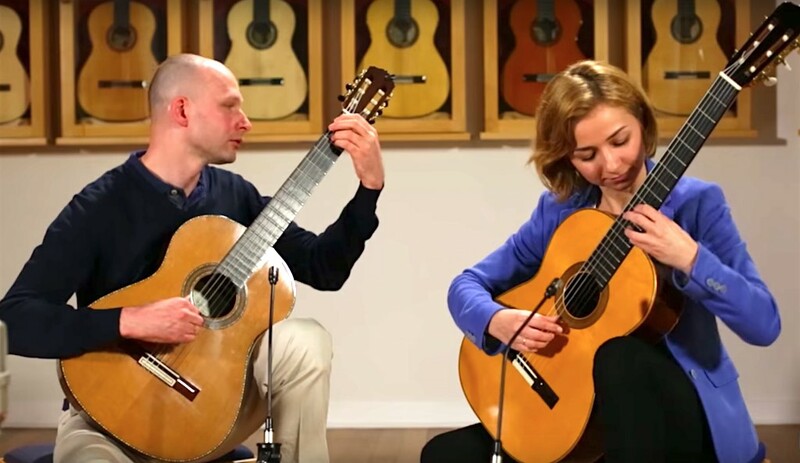 Dariusz plays a 2016 Felipe Conde Jr. and Ewa plays a 1990 Brian Cohen. This comes via the Guitar Salon Internationalshowroom in Santa Monica, CA. You can also check out the GSI on their YouTube channel. Wonderfully zipping and clean, rhythmic playing. 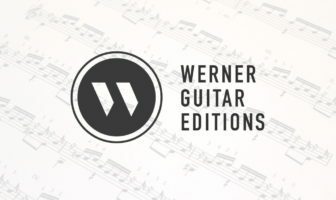 You can get the sheet music via Sheet Music Plus: Tango Suite for Guitar.